1) Asthma. Though a definitive cause of asthma is still up for debate, recent science points to vitamin D, and particularly a lack thereof, as a major factor in its prevalence. 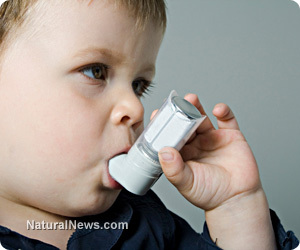 Especially in children, vitamin D has been shown to help reduce the severity and prevalence of asthma symptoms, and may help quell the inflammation responsible for restricting airways and making it difficult for asthmatics to breathe (http://science.naturalnews.com). 2) Hypertension. A study recently published in the Journal of Investigative Medicine found that patients with hypertension fared better when their vitamin D levels were boosted. High blood serum levels of 25-hydroxyvitamin D (25(OH)D), a marker of vitamin D, were found to help modulate vascular inflammation and other indicators of high blood pressure (http://www.vitasearch.com). 3) Inflammatory Bowel Disease (IBD). Numerous studies conducted in Europe, India, and the United States have identified a link between low vitamin D levels and higher rates of Crohn's disease, ulcerative colitis, and other forms of IBD. Based on this cohort of research, populations where natural sunlight exposure is limited tend to have higher rates of IBD, and vice versa (http://www.vitamindcouncil.org). 4) Influenza. It has long been known that influenza rates are highest during the wintertime when the sun is at its lowest tilt, and exposure to ultraviolet B rays is minimal. This, combined with research, shows that vitamin D helps boost the immune system, and science is only just beginning to recognize the flu-fighting potential of maintaining optimal vitamin D levels (http://www.vitamindcouncil.org). 5) Type-2 Diabetes. A 2011 study published in the journal, AIDS, found that vitamin D deficiency can exacerbate the symptoms of metabolic syndrome in patients with HIV. But in the process of learning this, the research team also found that maintaining high vitamin D levels through sunlight exposure or supplementation can actually help reduce the risk of developing type-2 diabetes in general (http://science.naturalnews.com). 6) Dental cavities. It has been suspected since at least the mid-1800s that a lack of natural sunlight exposure is a major cause of poor health. But in recent years, scientists have pinned specific conditions, including poor dental health, to a lack of vitamin D. Numerous recent studies have found that optimal levels of vitamin D promote the healthy calcification of teeth, while a lack of this important nutrient can lead to higher rates of dental cavities (http://www.vitamindcouncil.org). 7) Rheumatoid arthritis. If you or someone you know suffers from rheumatoid arthritis (RA), you may want to have your vitamin D levels checked. A recent study out of Canada found a "considerably strong association" between vitamin D deficiency and RA. In fact, those with the lowest blood plasma levels of 25(OH)D were found to be up to five times more susceptible to RA-related diseases than others (http://www.vitasearch.com). 8) Cancer. Whether it is breast, prostate, cervical, colorectal, esophageal, gastric, endometrial, ovarian, pancreatic, or renal, cancers of all types have been shown to be more prominent among people with inadequate levels of vitamin D. Conversely, those with the highest levels of vitamin D, or what are considered "optimal" levels, tend to be the least prone to developing cancer (http://www.vitamindcouncil.org).